In the female category, 29-year-old Anna Tunnicliffe has been awarded the ISAF Rolex World Sailor of the Year for a second time, having also achieved the honor two years ago. 2011 has been a good year for Anna who also became the ISAF Sailing World Cup champion in Women's Match Racing. Among other career highlights over the past couple of years, Anna won an Olympic gold medal in 2008 in the Women's Laser Radial class. 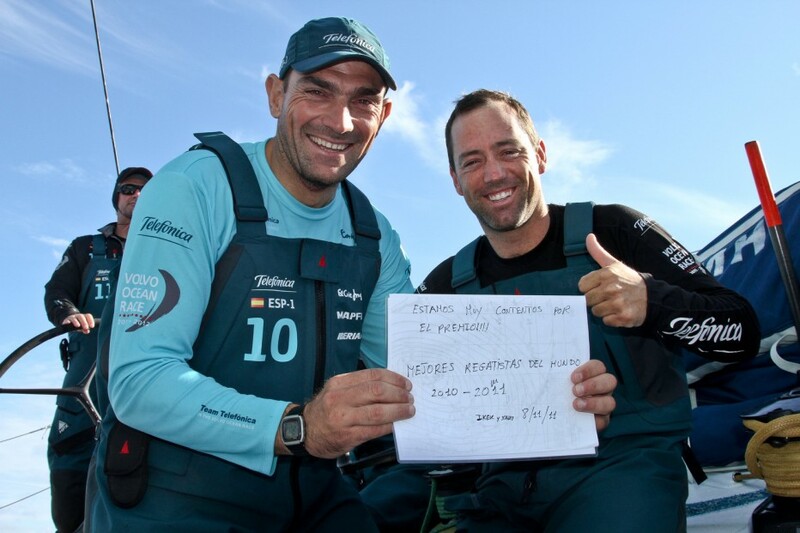 The Spanish sailing duo of Iker Martínez and Xabier Fernández, currently onboard Team Telefónica in the rigorous Volvo Ocean Race, were named ISAF Rolex World Sailors of the Year in the male category. The two Spaniards have been nominated for the award three times including this win, with the first nomination coming 11 years ago. Congratulations from the team at the Daily Boater to the winners, as well as to all the nominees for even being considered for this prestigious honor. For more information about the awards, the ceremony, and the nominees and winners, view the full press release from the International Sailing Federation.